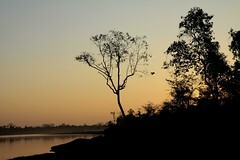 Assam is a paradise for nature lovers. It is one of the richest biodiversity zones in the world, consisting of tropical rain forests, deciduous forests, riverine grasslands, bamboo orchards and wetland ecosystems. 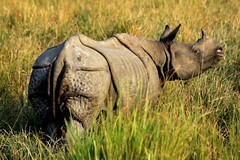 Kaziranga, home to the one horned rhinoceros, along with Manas have been classified as UNESCO World Heritage Sites. Assam is now the last refuge for a variety on endangered species including white-winged wood duck, golden langur, pygmy hog, hobnail bandor and the hispid hare. Kaziranga, a UNESCO World Heritage Site, is one of the last undisturbed habitats for of the Great Indian one-horned rhinoceros. 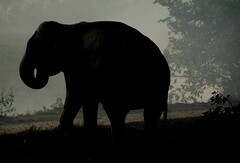 It is also home to a healthy population of wild elephants, swamp deer and over 450 species of birds. Things to see and do : Jeep and Elephant safaris. When to go : November through April. The best for animal spotting is between March and April. Elephant safaris enable you to get really close to the mighty rhinoceros. Go for both AM and PM safaris and include one Jeep safari since it would enable you to cover more ground. Majuli, one of the largest riverine islands in the world, is a collection of small islands, stream and hills. The Brahmaputra has been eroding this unique land mass over the years. It has now been reduced to a 400 sq km land mass with about 200 small villages inhabiting the various villages. Majuli is also known for the Vaishnav monasteries and its festivals. Things to see and do : Satras (Vaishnav monastries), Kumhar Gaon (Potters’ village), Ali Aai Ligang & Parag festivals. When to go : October through April. Stay at Kamlabari town and make trips from there. Manas National Park, a UNESCO World Heritage Site, is set in a dense fortest with the hills of Bhutan rising up in the background. It is home to a variety of wild life including the ever elusive tiger, elephant, gaur, red pandas, golden langur and gaur. Things to see and do : Jeep safaris, elephant rides, and village walks. When to go : November through April. Unlike other parks, there aren’t any forest department run jeep safaris. You need to either book through the local resorts or take your own vehicle. It is best to book a resort with meals and safaris included as part of a package. The Brahmaputra, a 2900 Km long river, is one the major rivers in Asia flowing through Tibet, India and Bangladesh. 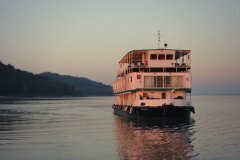 In recent times, a popular way to explore this beautiful river is by going off on a multi day luxury river cruise. Things to see and do : Visit the top sights including the national parks on a cruise instead of by road. Take time out to interact with the locals. It will enhance your whole experience. Book your trips well in advance. 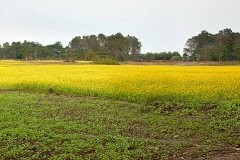 Nameri, extending on either side of Jai Bhoroli, is one of the lesser explored parts of Assam. One can explore this beautiful forest on foot accompanied by a forest guard. One can spot deers and elephants. Things to see and do : Forest walks and boar rides. Wake up early to spot hornbills. Ask your resort to arrange for a boat ride down the Jao Bhoproli with a pit stop for a BBQ lunch. This is one of the finest experiences you will take away with you from the trip.